Eric Melzer has been practicing for over 20 years and handles all aspects of corporate transactions ranging from small family owned businesses to multi-million dollar corporate transactions. Prior to joining Berkowitz Lichtstein Kuritsky Giasullo & Gross, L.L.C., Mr. Melzer was a partner at a large New Jersey firm and prior to that, Mr. Melzer served as an Assistant District Attorney in Kings County, New York. 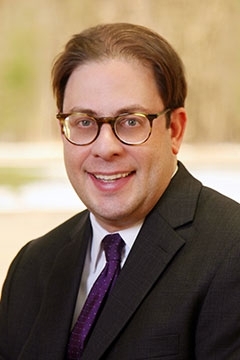 Mr. Melzer is admitted in both New York (1996) and New Jersey (2000) and has a Masters of Law in Trade Regulation and Corporate Law from New York University. Mr. Melzer has represented clients in many different industries including real estate brokerage, medicine and dentistry, accounting, fashion, IT solutions, car wash, entertainment, non-profits, schools, restaurants, construction, wine and alcoholic beverages, and many others. Mr. Melzer has handled numerous transactions involving the purchase and sale of assets, stock transactions, mergers, dissolutions and shareholder disputes. Mr. Melzer has prepared hundreds of operating agreements and shareholder agreements for business owners. Mr. Melzer also handles commercial and residential real estate transactions. Mr. Melzer has extensive trademark and copyright experience. He is currently attorney of record for more than six hundred trademarks and has handled numerous matters before the United States Patent and Trademark Office, Trademark Trial and Appeals Board. Mr. Melzer has applied for and registered numerous copyrights before the United States Copyright Office of the Library of Congress. He handles intellectual property licensing agreements, assignments, and transactions on a regular basis. Mr. Melzer also represents both franchisors and franchises in industries listed above. He has prepared Federal Disclosure Documents and provides advice to clients on the applicable franchise practices acts ranging from relationship issues to disclosure items to termination and anti-termination counseling. Mr. Melzer also represents numerous automobile dealerships, both domestic and foreign. He has handled numerous purchase and sale transactions and regularly counsels clients on manufacturer relationship issues, operating and shareholder agreements, right of first refusal issues, combating terminations, facilities requirements, warranty issues, and pretests. Mr. Melzer is a member of the National Association of Dealer Counsel and has recently presented at its membership meeting. Finally, Mr. Melzer represents several athletes especially in the boxing industry and has counseled them on relationships with the promoters and the managers. He has been involved in high level negotiations and provided advice on Bout agreements, agreements with networks and sponsorship deals. Mr. Melzer has also represented certain managers and promotors and has prepared and reviewed co-promotion agreements, marketing agreements, distribution and delayed telecast agreements, and venue agreements. Mr. Melzer has handled protests and appeals before state boxing commissions and international sanctioning bodies.